For Architectural Digest, by Jennifer Tzeses. 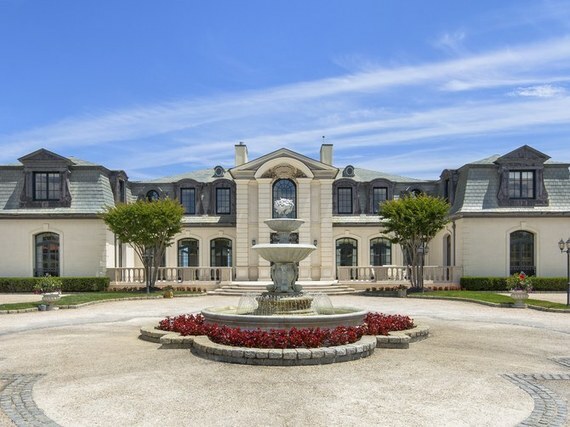 The home sits behind an expansive motor court with a fountain. 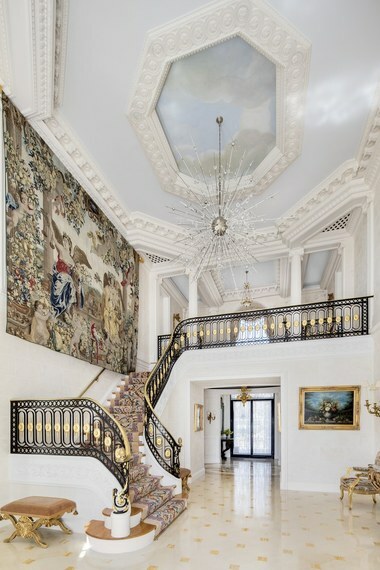 The ornate foyer features a grand staircase. 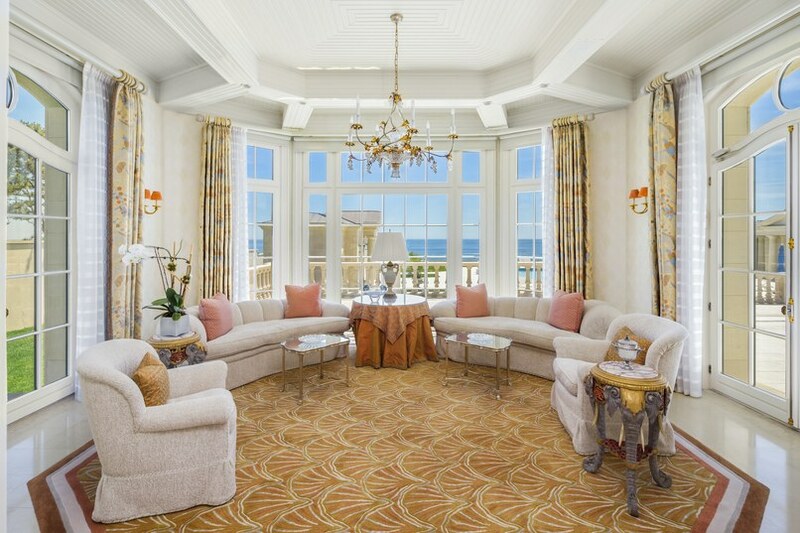 French doors line the formal living room. 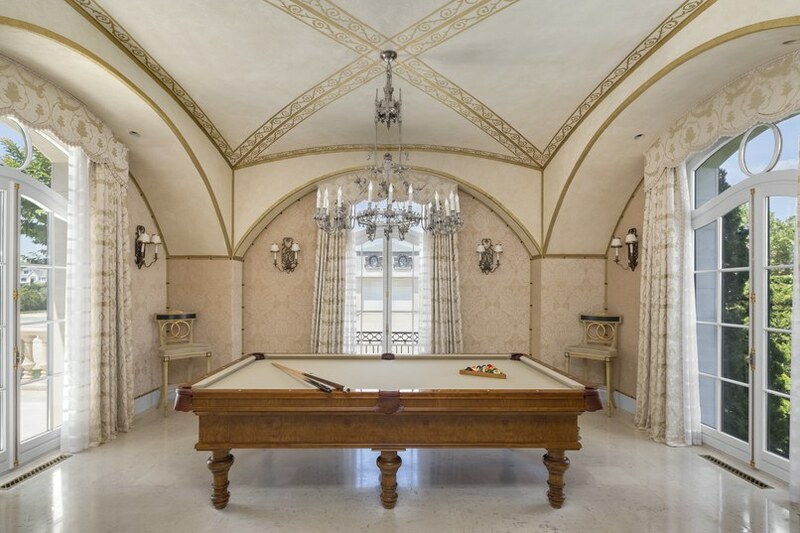 The billiards room has arched ceilings. There's a large marble bar in the card room. 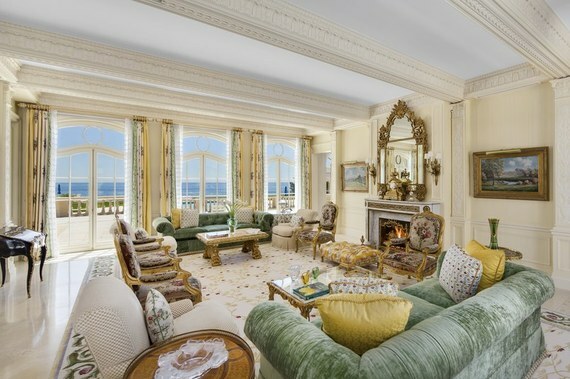 Guests can lounge in the sunroom for beautiful ocean views. 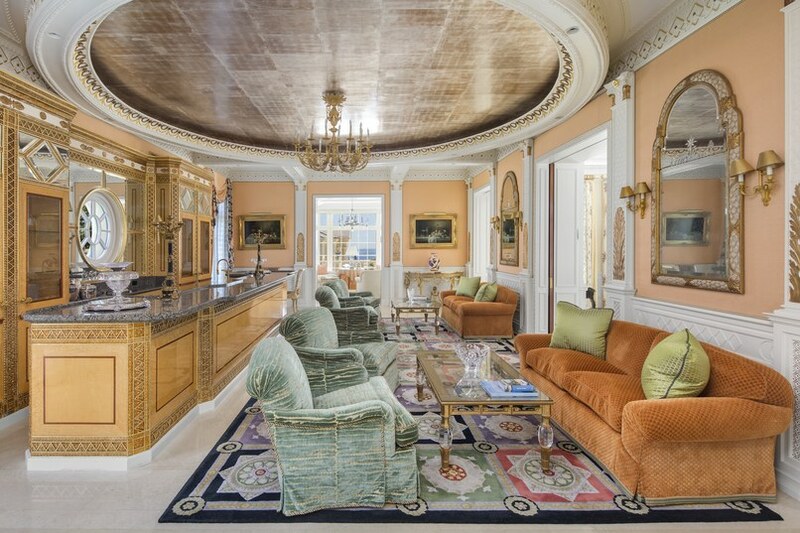 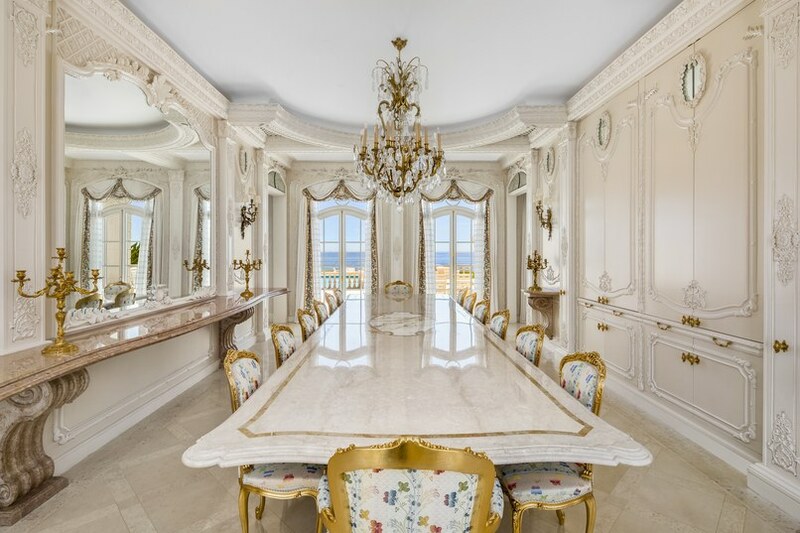 The formal dining room is exquisitely detailed. 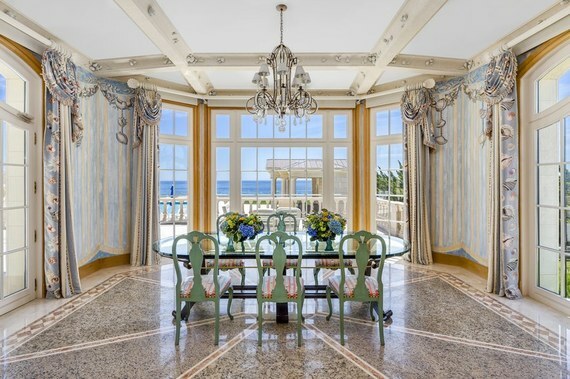 Floor-to-ceiling windows surround the breakfast room. 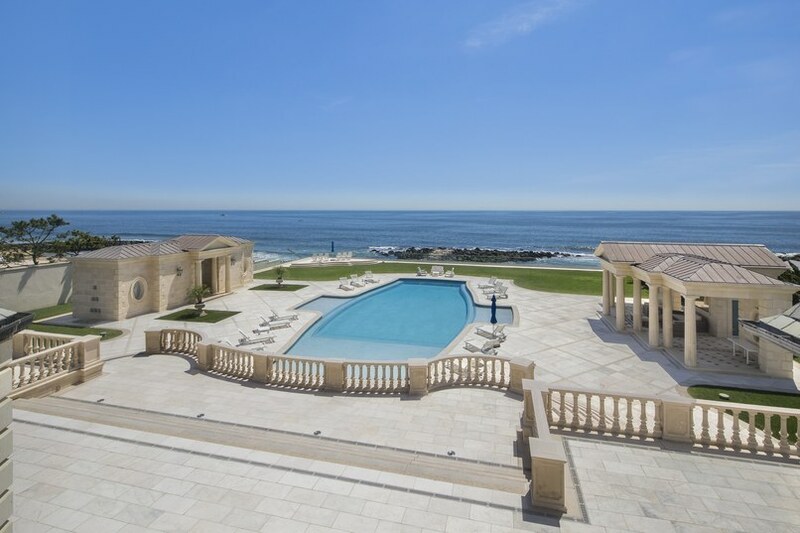 The large pool area looks out over the water.